If Blake Freeman wanted a showdown with Canada’s cannabis giants, he’d be badly outgunned. As it stands, the legal cannabis industry is dominated by four companies whose combined market cap floats somewhere around $15 billion. They wield enough lobbyists to shape federal policy. Their shares trade daily on the Toronto Stock Exchange alongside stocks for General Motors, Suncor Energy and other staples of the Canadian economy. 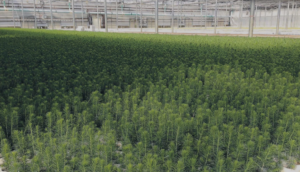 The largest among them, Canopy Growth, has a federal licence to grow 5.6 million square feet of cannabis crops. That’s enough pot plants to cover 100 football fields. Freeman, for his part, has spent the last year converting a rusted-out bingo hall into a grow-op. The closest thing he has to a lobbyist is his wife, Anna — a fast-talking, red-clog-wearing entrepreneur who drinks coffee by the pint and works upward of 18 hours a day. And so, instead of competing with big cannabis, this retirement-age couple is looking to partner with one of these companies. 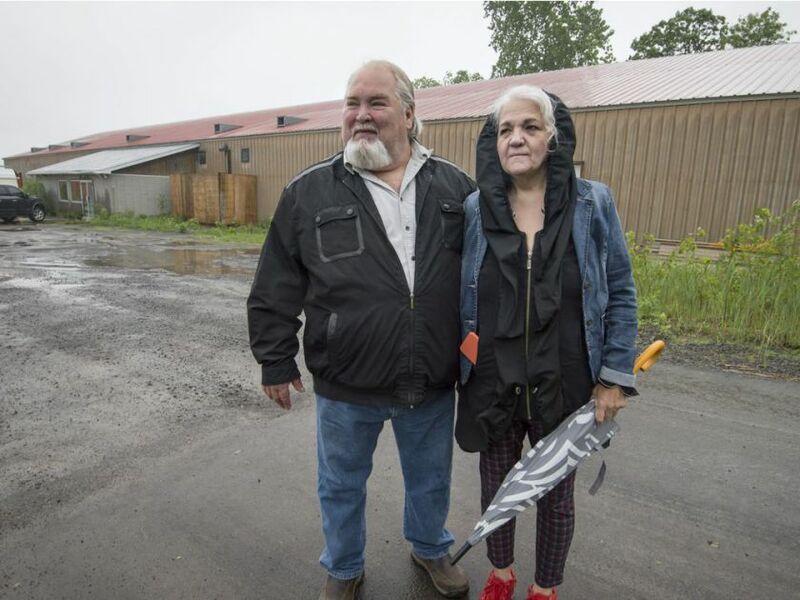 The Freemans say they’re in talks with three cannabis producers about a joint venture on the Kanesatake Mohawk territory. The couple wants to grow and sell cannabis from their six-acre property on the reserve. Earlier this week, the Senate voted to pass Bill C-45, which legalizes the sale of recreation cannabis across Canada starting Oct. 17. The Freemans want to be licensed and open for business by then. On the surface, their operation has a ramshackle look to it. The 40,000-square-foot building sits along the muddy shores of Lac des Deux Montagnes. A fishing shack, dry-docked speedboat and a pair of shipping containers litter the building’s gravel parking lot. But inside the fading bingo hall — which once hosted high-stakes games that drew up to 1,400 players — construction workers are building grow rooms designed to pass Health Canada inspections. So far, they’ve invested $1 million in retrofitting the building. Though they are novices in the cannabis game, Anna and Freeman are serial entrepreneurs, having run trucking and poultry distribution businesses in the past. 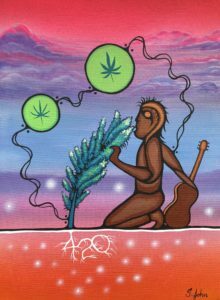 The facility has the green light from Kanesatake’s Grand Chief and band council to operate and sell cannabis on the territory. It’s within driving distance of Montreal, Ottawa and the sprawling North Shore suburbs. Perhaps its greatest competitive advantage, according to the Freemans, is that any sales occurring on-site are beyond the reach of Canada’s tax laws. Two sources within the industry say the Freemans’ proposal has piqued investors’ interest. Freeman says he has three letters of intent in hand with two other investors inquiring about a partnership. Since these conversations are bound by nondisclosure agreements, Freeman can’t name the potential investors. He did, however, concede that a few of the companies are listed on the TSX. “If it’s done right, cannabis can be a good thing for this community,” says Serge Simon, Kanesatake’s Grand Chief. “We’ve spoken about taking a percentage of future revenues and putting it in a trust for our youth. 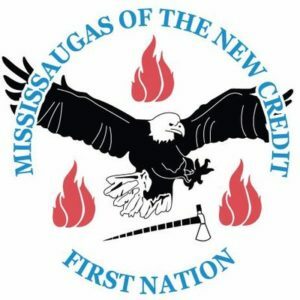 Though the Kanesatake band council signed off on the Freemans’ project, two councillors abstained from the vote. While they did not vote against it, Simon says their abstention is a sign that the cannabis business is a divisive issue in Kanesatake. A common criticism of the nascent legal cannabis industry is that, despite its innovative beginnings, elements are firmly rooted in the old school. The CEOs of Canada’s largest cannabis producers — Canopy, Aurora Cannabis, MedReleaf and Aphria — are all middle-age white men. Their funding comes mostly from established venture capital firms and initial public offerings on the TSX. 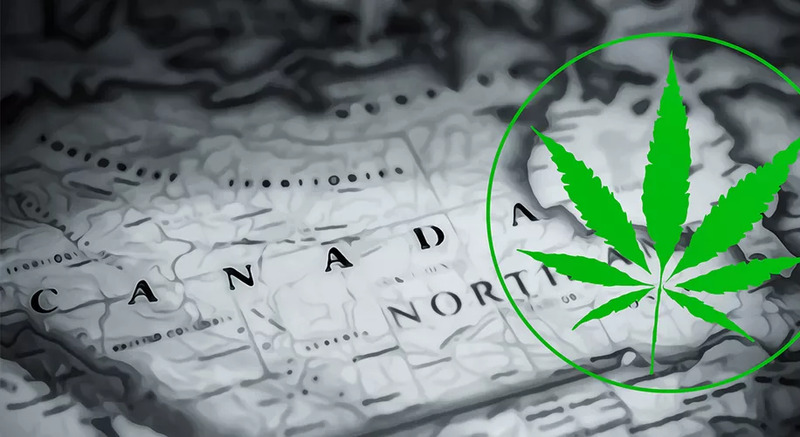 There are a few piecemeal arrangements in Western Canada and one joint venture between Growforce Holdings and the Peguis First Nation in Manitoba, but First Nations do not have a major stake in the industry. And despite claims by the Liberal government that a legal market will funnel tax revenue to First Nations, there’s no concrete plan in place. Tax revenue from cannabis sales are subject to a 75/25 split between the provinces and Ottawa. This drew criticism from the Assembly of First Nations last month during a meeting in Gatineau. 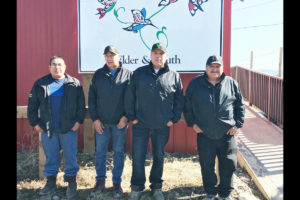 Chiefs from across the country say that if the legal cannabis industry excludes Indigenous Peoples, it will give rise to unregulated dispensaries on First Nations lands. 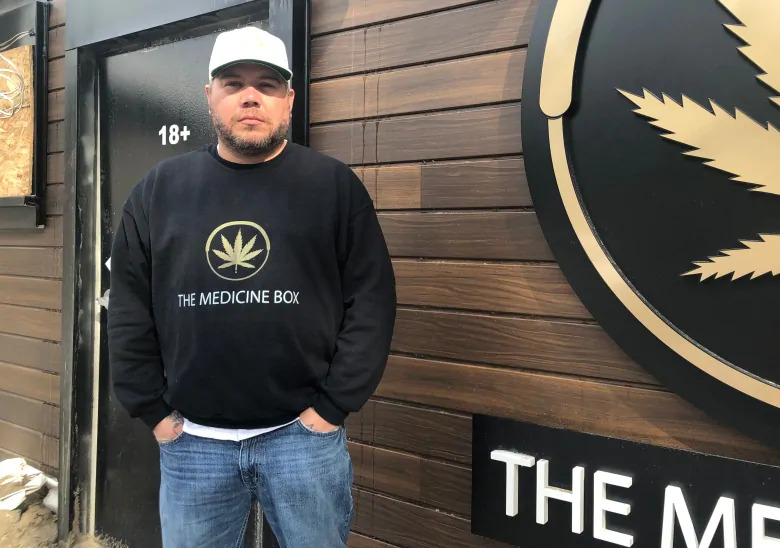 Ontario territories like Tyendinaga and Six Nations have seen an explosion in unlicenced cannabis dispensaries during the past year. There are about 40 in Tyendinaga — a Mohawk reserve near Belleville, Ont. This trend spread to Quebec last April, when Clifton Nicholas opened a dispensary down the road from the Kanesatake bingo hall. 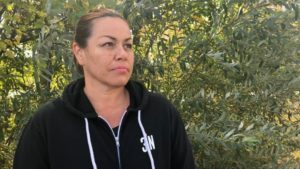 Anna Freeman says the couple would be well within their rights to grow and sell cannabis on reserve without a federal licence. Freeman has a long-standing connection to the territory. When his mother, Dorothy, a residential school survivor, died in 2009, she was buried in the sacred pine forest at the edge of town. And Freeman’s grandfather Mitchell was among those who planted those pines in the early 1900s. The journey ahead won’t be without its risks. 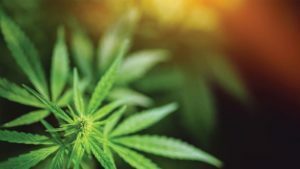 Simply getting a federal licence to grow and sell cannabis could take up to a year, and finishing construction will probably cost another $1 million. There’s also the question of competition. 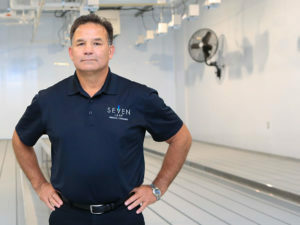 In a 700,000-square-foot greenhouse in nearby Mirabel, Canopy started production on its line of organic cannabis. But Freeman says he harbours no illusions. “It’ll be a tough, competitive business,” he says. “Stocks will crash, companies will go under, and to make it, we’ll have to use every little advantage we can.